Robi internet offer 2018. Now there is a great internet offer 2018. Robi can take 1 GB internet at 10 tk. Best for downloading this MB. 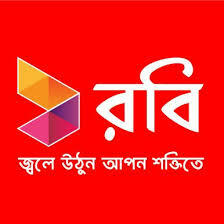 Robi customers can avail the offer. 1 GB internet at just 10 tk active this offer Dial * 123 * 08 # .Internet time is 4 hours. To check the offer balance, dial * 8444 * 88 #. Check out the Screenshot below for how to activate the offer.